As much as we admire and respect them, there’s no doubt that software developers can be a funny old bunch sometimes. Take Shirin Oskooi from the Google Calendar Sync development team. Just how excited is it possible for someone to get about something that essentially just syncs calendars? 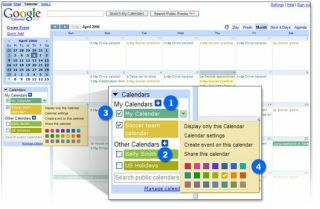 “I was probably the most excited person on the team when we started developing it, because now I can access my calendar at home or on my laptop, on Google Calendar or in Outlook,” Oskooi enthuses on the Official Google Blog. Apparently, Oskooi’s painstaking efforts (prior to the creation of Google Calendar Sync) to keep the Outlook calendar on his desktop PC holding the same dates and data as the Google Calendar on his laptop were really beginning to tell on him. “This was my life for a whole year, before we started working on Google Calendar Sync,” he confesses. We’re all in favour of creatively engineered solutions that allow different software to talk to each other. But we can’t help thinking that if calendar management really was Mr Oskooi’s biggest problem in life, then he should probably be counting his blessings. That’s not to say that it isn’t a handy little tool though.